9500 Euclid Avenue, A61 Cleveland, OH 44195, USA. Citation: Wang S, Piliang M, Bergfeld WF. Impact and Associations of Primary and Secondary Perniosis. Skin Dis Skin Care. 2017, 2:18. Copyright: © 2017 Wang S, et al. This is an open-access article distributed under the terms of the Creative Commons Attribution License, which permits unrestricted use, distribution, and reproduction in any medium, provided the original author and source are credited. Perniosis is an inflammatory disorder that is classified as a subtype of vasculitis . The etiology of perniosis has been categorized as either primary (condition exists as a singular entity) or secondary (another underlying condition, such as an autoimmune disease, is present) . Histologically, perniosis is characterized by dermal edema and a hemoglobin perivascular and perieccrine infiltrate, with the perieccrine distribution associated with primary perniosis rather than the autoimmune form (Figure 1) [3-6]. Perniosis is triggered by prolonged exposure to cold conditions, which results in an abnormal inflammatory reaction of small blood vessels [7-9]. The pathogenesis of perniosis has been attributed to a defective vasodilatory reflex. Normally, cold-induced vasoconstriction is followed by vasodilation, but in perniosis patients, the initial vasoconstriction is prolonged, resulting in vasospasms . Figure 1: Perniosis-Sections demonstrate and acanthotic and focally necrotic epidermis with reticular and ballooning degeneration, resulting in vesicular changes. Focal acantholysis, scattered dyskeratotic keratinocytes along the dermal-epidermal junction and re-epithelialization of the basal layer underlying the vesicle are also appreciated. Within the superficial and deep dermis, there is a brisk lymphohistiocytic perivascular and periadnexal inflammatory infiltrate with scattered neutrophils and extravasated erythrocytes. The result of this prolonged vasoconstriction is localized inflammation due to hypoxic damage. This leads to the formation of painful, itchy, discolored skin lesions on the peripheral extremities, ears, and face (Figure 2) [9,11,12]. Severe cases may lead to ulceration, superinfection, and scarring of the skin . In some instances, the clinical presentation of perniosis can resemble Raynaud’s disease, Chilblain Lupus Erythematosus, and cold urticaria, making comparisons of patient history, symptoms, and laboratory values valuable in narrowing the differential diagnosis. Perniosis presents most commonly during the winter months and skin lesions last a number of weeks, although in some cases it may persist into the warmer months [3,9,13]. Perniosis is more commonly seen in women than in men, especially in women who are very thin [3,13-15]. Smoking, with its detrimental effects on vascular disease and wound healing, is another risk factor for perniosis [9,16]. Treatment of perniosis includes avoidance of cold, use of warm clothing, vitamin supplementation, topical or oral corticosteroids, phenoxybenzamine, thymoximine, prazosin, nicotinyl alcohol, pentoxifylline, nifedipine, nitroglycerine, UV therapy, sympathectomy and the antimalarial drug hydroxychloroquine (Plaquenil) [11,17,18]. However, treated patients may experience a high number of adverse effects while taking some of these drugs, rendering many pharmacologic treatment options unacceptable. Effective treatment of perniosis is largely inadequate . Because perniosis is relatively rare and current literature focuses on case reviews and specific subset populations, little is known about its impact and associations . Contradictory data exists regarding the frequency of patients with primary versus secondary perniosis . The objective of this study was to aid the diagnosis and classification of perniosis, elucidate its impact, and explore the treatments that have been chosen and/or proven effective at the Cleveland Clinic. By following the differential diagnosis, demographics, and etiology of perniosis patients, the presentation of primary and secondary perniosis can be characterized. Our intent to identify the most effective ways to improve management of perniosis, with corresponding reduction of associated complications, is accomplished through following the comorbidities, disease course, and response to treatment of perniosis patients. It is hypothesized that significant differences exist in demographics and/or clinical presentation between patients with primary versus secondary perniosis. After obtaining approval from the institutional review board at the Cleveland Clinic (IRB#16-867), a retrospective review of medical records of 45 patients was conducted. All patients were diagnosed with perniosis and seen at the Cleveland Clinic. The Cleveland Clinic EPIC database reports were reviewed for patients meeting current diagnostic criteria. In addition, gross anatomical observation via photographs of lesions as well as histological analysis via clinical notes of biopsy slides were used at first diagnosis to help determine the diagnoses and categorization of perniosis. Patients were classified with either primary or secondary perniosis accordingly based on clinical assessment by dermatologists. Ã¢ÂÂ¢ Etiology and differential diagnosis. Ã¢ÂÂ¢ Disease severity and clinical presentation. Ã¢ÂÂ¢ Family history of perniosis, frostbite, rashes, vascular disorders, and autoimmune diseases. Ã¢ÂÂ¢ Disease course and response to treatments. Severity of perniosis skin lesions was categorized as mild, moderate or severe based upon duration of lesions and clinical characteristics. Mild lesions were characterized by transient erythema and/or ischemia with reddening or whitening of the skin that resolves within days of treatment. Moderate lesions were characterized by the presence of papules that persist for weeks after treatment. Severe lesions were characterized by skin necrosis and lesions that persist for months despite treatment. Laboratory values (e.g. routine screen such as CBC, BMP, hemoglobin, and hematocrit; thyroid screen; androgen screen; presence of autoantibodies; nutrient levels such as vitamin D levels, zinc levels, iron levels, and ferritin levels) were analyzed to investigate the presence of underlying biochemical factors that may contribute) were analyzed to investigate the presence of underlying biochemical factors that may contribute to the presentation of perniosis, as proposed by other studies . Finally, we explored the impact of a family history of vascular disorders (e.g. Henoch-Schönlein purpura, Raynaud's disease, Buerger’s disease, fibromuscular dysplasia, coronary heart disease, thrombosis, aneurysm, myocardial infarction, cerebrovascular accident, hypertension, arrhythmia, hemorrhoid) and autoimmune diseases (e.g. lupus, vitiligo, Hashimoto’s thyroiditis, Graves’ disease, rheumatoid arthritis, psoriasis, inflammatory bowel disease, Sjogren’s syndrome, diabetes mellitus) in perniosis patients, as these has been implicated as potential triggers and/or comorbidities for perniosis [2,9,14,15]. Study data were collected and managed via REDCap (Research Electronic Data Capture) tools, a secure, World Wide Web-based application. Inferential statistics was performed in conjunction with Quantitative Health Sciences. All patients that met cohort specifications were included. Patient characteristics including demographics, comorbidities, disease severity, and response to treatments were summarized overall and by patient groups defined by primary and secondary perniosis using frequencies and percentages for categorical factors and means and standard deviations for continuous measures. Laboratory values were analyzed using the highest, lowest, and most recent values for each factor. Abnormality of each laboratory field was evaluated in the high and low directions separately, and each patient was classified according to their most extreme response. Comparisons between the groups were performed using Pearson chi-square tests and Fisher exact tests for unordered categorical factors, Wilcoxon rank sum tests for ordered factors, and t-tests for continuous measures. Analyses were performed using SAS software (SAS Institute Inc.; version 9.4; Cary, NC) assuming a 0.05 significance level. 45 patients who met initial diagnostic criteria for perniosis were reviewed, and 44 patients were included for analysis. One patient, identified as an outlier due to atypical onset of perniosis symptoms (e.g. pain, papules, ulcers) with heat, was subsequently excluded from analysis. 32 (72.7%) patients presented with primary perniosis and 12 (27.3%) presented with secondary perniosis (Figure 3). One patient with a missing subtype in the hospital database system was categorized as primary perniosis. 12 (27.3%) of perniosis patients were men and 32 (72.7%) were women. 93.2% identified as Caucasian, 2.3% African American, 2.3% Asian, and the remaining 2.3% unknown. The mean age of onset of perniosis symptoms was 39.6 ± 16.7 years, and the mean BMI of perniosis patients was 24.3±5.4. 65.8% of patients had a BMI classification of underweight or normal weight, while 34.2% of patients had a BMI classification of overweight or obese. An examination of smoking status revealed that 65% of patients had never smoked, 25% were former smokers, and 10% were current smokers (Figure 4). No differences in age, BMI, and smoking status between patients with primary perniosis and patients with secondary perniosis were observed. Figure 3: Frequency of primary versus secondary perniosis. 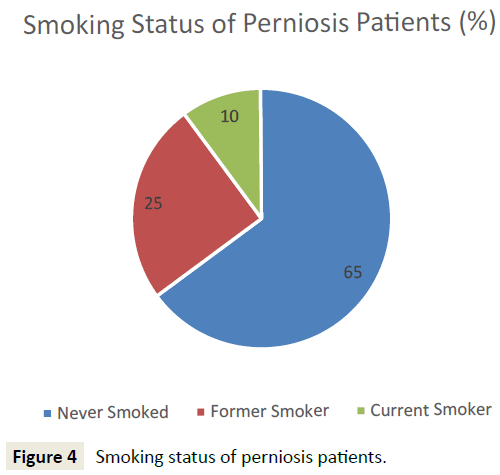 Figure 4: Smoking status of perniosis patients. Patients with primary perniosis were more likely to have a cold etiology (e.g. shoveling snow, ski trip, contact with ice, winter months) (93.8% vs. 33.3%; p<0.001). In contrast, patients with secondary perniosis were more likely to have an illness etiology (e.g. systemic lupus erythematosus, allergies, Raynaud’s disease) (66.7% vs. 0%; p<0.001) (Figure 5). Furthermore, patients with secondary perniosis had a higher frequency of a positive family history of autoimmune diseases (66.7% vs. 46.9%; p=0.24) and vascular disorders (66.7% vs. 43.8%; p=0.18), though these comparisons did not reach statistical significance. Figure 5: Etiology of primary and secondary perniosis. In terms of comorbid conditions, vascular disorders were the most common (47.7%), followed by dermatologic disorders (e.g. frostbite, dermatitis, acne, eczema, rosacea, folliculitis, lichen planus, keratosis pilaris, seborrheic keratosis, hidradenitis suppurativa, rash) (38.6%), autoimmune diseases (31.8%), and mental illnesses (e.g. depression, anxiety, bipolar disorder) (22.7%). Patients with secondary perniosis were more likely to have autoimmune comorbidities than their primary perniosis counterparts (75% vs. 15.6%; p<0.001) (Figure 6). Patients with secondary perniosis also had a higher frequency of vascular comorbidities (66.7% vs. 37.5%; p=0.084), though this comparison did not reach statistical significance. Patients with secondary perniosis were more likely to have more severe lesions (0% mild, 58.3% moderate, 41.7% severe) than patients with primary perniosis (9.7% mild, 90.3% moderate, 0% severe) (p<0.001). Additionally, patients with secondary perniosis reported a higher frequency of chronic perniosis, defined as a duration of skin lesions 12 months or longer (58.3% vs. 30%; p=0.088), though this comparison did not reach statistical significance. 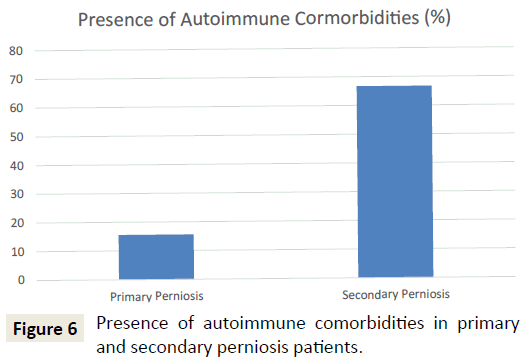 Figure 6: Presence of autoimmune comorbidities in primary and secondary perniosis patients. Although 100% of perniosis patients experienced healing of skin lesions, 85.7% experienced a relapse of perniosis symptoms. However, of the patients who experienced a relapse, 100% experienced skin healing after relapse. No significant differences between patients with primary perniosis and patients with secondary perniosis were observed. The most common treatments used to treat perniosis included topical, oral, or systemic corticosteroids (e.g. clobetasol, triamcinolone, prednisone) (59.1%), followed by calcium channel blockers (e.g. amlodipine (Norvasc), nifedipine (Procardia)) (13.6%), hydroxychloroquine (Plaquenil) (11.4%), cephalexin (Keflex) (6.8%), and other antibiotics (e.g. mupirocin (Bactroban), sulfamethoxazole/trimethoprim (Bactrim)) (6.8%). Patients with secondary perniosis were more likely to be treated with hydroxychloroquine (33.3% vs. 3.1%; p=0.015) and calcium channel blockers (33.3% vs. 6.3%; p=0.039), as compared to patients with primary perniosis. A comparison of patients with primary perniosis and patients with secondary perniosis demonstrated that patients with primary perniosis were more likely to have abnormally low hemoglobin levels (34.5% vs. 8.3%; p=0.047) (Figure 7). Furthermore, patients with primary perniosis were more likely to have abnormally low hematocrit levels (44.8% vs. 16.7%; p=0.069), though this comparison did not reach statistical significance. No significant differences were noted between the two groups for other laboratory values including TSH levels, vitamin D levels, and the presence of autoantibodies. Figure 7: Presence of low hemoglobin levels in primary and secondary perniosis patients. In the present study, we report that the majority of perniosis patients (72.7%) were classified as primary perniosis patients while the remaining (27.3%) were classified as secondary perniosis patients. Our finding that primary perniosis is associated with a cold etiology while secondary perniosis is associated with an illness etiology corroborates older reviews describing the onset of perniosis . As the relative incidence of primary versus secondary perniosis has not yet been described in existing literature, this finding provides relevant insight to physicians in their clinical diagnosis of perniosis. Our study reveals key differences in the pathophysiology, clinical course, and management of primary versus secondary perniosis, shedding light on characteristics which may help dermatologists better counsel patients on their prognosis. This study also elucidated common comorbid conditions in perniosis patients, which include vascular disorders, dermatologic disorders, autoimmune diseases, and mental illnesses. The higher likelihood for the presence of rheumatoid factor and hypergammaglobulinaemia found in secondary perniosis patients, as noted by Takci et al. in an epidemiological review of perniosis, aligns with our finding that patients with secondary perniosis are more likely to have autoimmune comorbidities than their primary perniosis counterparts . Because rheumatoid factor and hypergammaglobulinaemia are found in many autoimmune diseases and are often suggestive of increased immune system reactivity to self-antigens, they may be useful markers in the diagnosis of underlying systemic diseases, aiding in the differentiation of primary versus secondary perniosis. This proposal is reinforced when considering the presence of autoimmune comorbidities (e.g. systemic lupus erythematosus, rheumatoid arthritis, Crohn’s disease) and serological markers (e.g. antiphospholipid antibodies, antinuclear antibodies) found in secondary perniosis patients . We observed that patients with secondary perniosis demonstrated more severe lesions and chronic disease when compared to patients with primary perniosis. Our results align with studies linking secondary perniosis with persistence of symptoms beyond the cold seasons . The difference in severity is perhaps related to the chronicity of concomitant systemic disorders and their contributions to the pathogenesis of perniosis. The presence of an underlying disorder provides extended opportunities for continued disease progression. Further research is necessary to elucidate the roles that various diseases play in the clinical course of secondary perniosis. An analysis of laboratory values noted that patients with primary perniosis were more likely to exhibit abnormally low hemoglobin levels. This is a new finding that has not yet been reported in existing literature. The low levels of hemoglobin found in perniosis patients may be related to the prolonged, inflammatory vasoconstriction of blood vessels key to the pathogenesis of idiopathic, cold-induced perniosis. However, additional research is warranted to reveal the underlying mechanisms in which low hemoglobin is caused by, or correlated with, primary perniosis. Among perniosis patients, the most common treatments used include corticosteroids, calcium channel blockers, hydroxychloroquine, and antibiotics. Applicably, the use and efficacy of such medications are supported by Yang et al. and other studies [9,21,22]. We observed key differences in the use of specific medications for primary perniosis versus secondary perniosis. Secondary perniosis is treated significantly more often with hydroxychloroquine and calcium channel blockers than primary perniosis. Alternatively, primary perniosis is most often treated with corticosteroids. This distinction is hypothesized to be related to the cold versus illness etiology of the two subtypes. However, well-documented evidence for the value of other medications such as oral pentoxyfylline and topical nitroglycerine exist, providing physicians with informative insight regarding the value of these less commonly used medications [6,23]. Finally, the efficacy of nifedipine, a calcium channel blocker and one of the most common treatments used for the treatment of secondary perniosis, is questioned by Souwer et al., suggesting that nifedipine is not superior to placebo for treating chronic perniosis . These results hold significant implications for determining the first-line therapy for perniosis. Additional research is warranted to clarify the appropriate use of various medications. The above differences provide an opportunity to initiate further research on the classification, impact, and treatment of perniosis. The strength of this study is in its high numbers as well as the accuracy of diagnosis of perniosis, as certified by clinical assessment, histologic analysis, and photographic evaluation performed by dermatologists at the Cleveland Clinic. One limitation of the present analysis is given the low incidence of perniosis, not all measures of the primary perniosis group were tested. Consequently, we excluded presentation of comparisons with less than 6 patients per group, as these tests are unlikely to be meaningful. In addition, given the retrospective nature of the data collection, some measures have some missing data. Analyses were performed at the complete case level, which assumes that missing data are not related to the study group or to other measures being compared. As perniosis is relatively rare, an up-to-date review characterizing the disease helps alleviate excessive anxiety for physicians and patients. Perniosis patients should avoid common triggers such as cold conditions. Physicians should emphasize clinical and laboratory assessment of concomitant vascular and autoimmune diseases. Additionally, physicians should discuss the clinical course, including the likelihood of recurrent symptoms, as well as effective treatments available for perniosis. Importantly, physicians should consider the broad spectrum of medications, or combinations of medications, available for the optimal treatment of perniosis, discerning which is most suitable for each patient. Further research is warranted to elucidate the differences that exist in the pathogenesis, disease progression, and clinical management of primary versus secondary perniosis, as well as the impact that systemic disorders have on the clinical course of secondary perniosis. • Perniosis is a subtype of vasculitis often triggered by cold conditions or illnesses. • Patients with secondary perniosis tend to have more severe lesions and autoimmune comorbidities than patients with primary perniosis. 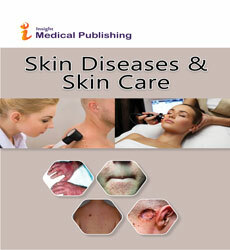 • Recommendations should emphasize screening for vascular disorders and autoimmune diseases, monitoring hemoglobin levels, and early treatment of skin lesions. We would like to thank James Bena, MS (Lerner Research Institute, Cleveland Clinic) for his contributions to the statistical analysis of this work. Stanhewicz AE, Ferguson SB, Bruning RS, Alexander LM (2014) Laser-speckle contrast imaging: a novel method for assessment of cutaneous blood flow in perniosis. JAMA Dermatol 150: 658-660. Boada A, Bielsa I, Fernández FMT, Ferrándiz C (2010) Perniosis: clinical and histopathological analysis. Am J Dermatopathol 32: 19-23. Dane A, Rama S, Sikorski L (2015) Equestrian perniosis: A case report and review of the literature. Dermatol Online J 21. Shahi V, Wetter DA, Cappel JA, Davis MD, Spittell PC (2015) Vasospasm Is a consistent finding in pernio (Chilblains) and a possible clue to pathogenesis. Dermatology 231: 274-279. Ferrara G, Cerroni L (2016) Cold-associated perniosis of the thighs ("Equestrian-Type" Chilblain): A reappraisal based on a clinicopathologic and immunohistochemical study of 6 cases. Am J Dermatopathol. Verma P (2015) Topical nitroglycerine in perniosis/chilblains. Skinmed 13: 176-177. António AM, Alves J, Matos D, Coelho R (2015) Idiopathic perniosis of the buttocks and thighs-clinical report. Dermatol Online J 21. Baker JS, Miranpuri S (2016) Perniosis a case report with literature review. J Am Podiatr Med Assoc 106: 138-140. Al Sudany NK (2016) Treatment of primary perniosis with oral pentoxifylline (a double-blind placebo-controlled randomized therapeutic trial). Dermatol Ther. Gordon R, Arikian AM, Pakula AS (2014) Chilblains in Southern California: two case reports and a review of the literature. J Med Case Rep 8: 381. Riera G, Vilardell M, Vaqué J, Fonollosa V, Bermejo B (1993) Prevalence of Raynaud's phenomenon in a healthy Spanish population. J Rheumatol 20: 66-69. Akkurt ZM, Ucmak D, Yildiz K, Yürüker SK, Celik HÖ (2014) Chilblains in Turkey: a case-control study. An Bras Dermatol 89: 44-50. Larkins N, Murray KJ (2013) Major cluster of chilblain cases in a cold dry Western Australian winter. J Paediatr Child Health 49: 144-147. Takci Z, Vahaboglu G, Eksioglu H (2012) Epidemiological patterns of perniosis, and its association with systemic disorder. Clin Exp Dermatol 37: 844-849. Gomes MM, Santos L. Perniosis (2014) BMJ Case Rep.
Banzon TM, Norton SA (2015) Frostbite and chilblains in Upton Sinclair's The Jungle. JAMA Dermatol 151: p421. Singh GK, Datta A, Grewal RS, Suresh MS, Vaishampayan SS (2015) Pattern of chilblains in a high altitude region of Ladakh, India. Med J Armed Forces India 71: 265-269. Cappel JA, Wetter DA (2014) Clinical characteristics, etiologic associations, laboratory findings, treatment, and proposal of diagnostic criteria of pernio (chilblains) in a series of 104 patients at Mayo Clinic, 2000 to 2011. Mayo Clin Proc 89: 207-215. Crowson AN, Magro CM (1997) Idiopathic perniosis and its mimics: a clinical and histological study of 38 cases. Hum Pathol 28: 478-484. Yang X, Perez OA, English JC (2010) Successful treatment of perniosis with hydroxychloroquine. J Drugs Dermatol 9: 1242-1246. Ganor S (1983) Corticosteroid therapy for pernio. J Am Acad Dermatol 8: 136. Noaimi AA, Fadheel BM (2008) Treatment of perniosis with oral pentoxyfylline in comparison with oral prednisolone plus topical clobetasol ointment in Iraqi patients. Saudi Med J 29: 1762-1764. Souwer IH, Bor JH, Smits P, Lagro JAL (2016) Nifedipine vs Placebo for Treatment of Chronic Chilblains: A Randomized Controlled Trial. Ann Fam Med 14: 453-459.